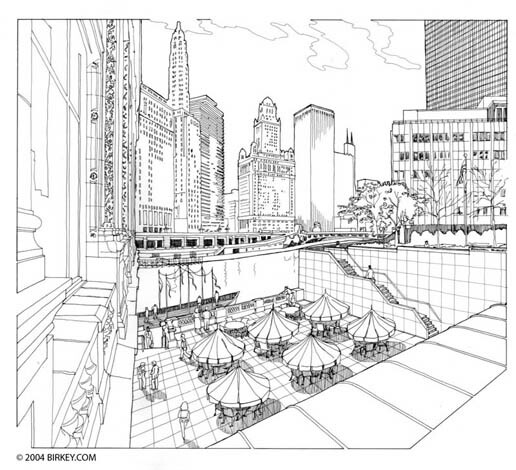 Another illustration was done for the “Friends of the Chicago River” project. Randal illustrated what could be done at the southern end of Rush Street in Chicago, where it dead ends into the Chicago River. This view showed an outdoor eating area, a dancing area on a barge, plantings, walkways and other amenities to make creative use of this under-utilized property.